Play on: Los Angeles Lakers +12. Both units are coming off Monday night encounters with the Lakers (11-24) losing at Portland (+13) 98-94. The Clippers (23-12) roll into Wednesday since losing to Atlanta Hawks 107-98 in LA. The Lakers continue to sit in last place 11-24 (2-7 SU..Pacific) going 6-20 in the Western Conference and 6-12 SU on the road. Last ten games LAL is just 3-7 SU. LAC shows in second place (Pacific) with a 4-2 SU record in the division, 5-1/2 games behind Golden State who is ??? 27-5. LAC is a very suitable 15-5 SU at home. These two last met on October 31, 2014 with the Clippers hanging on for a 118-111 win. The Lakers shot 51.2% from field and still lost. 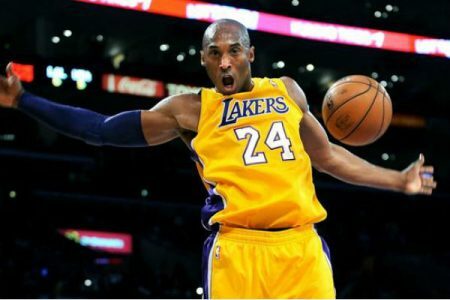 What I like about the Lakers is they’re 3-0-1 ATS L4 and in a positive mindset. The opposing Clippers are 3-8 ATS L11 games, but do possess a solid 10-1 ATS record at home vs. the Lakers. Yes, the home team has been the play of late in the series 5-1 ATS. Still, when we dig further, it’s apparent the Clippers are illustrating so-so results at the cash register, 5-11 ATS off a SU loss…We close with a solid move on the Lakers who are 8-1-1 ATS L10 vs. the Western Conference. Believe the Lakers have a shot at winning this SU. Going into Tuesday action we are the No. 2 Overall Ranked Handicapper in 2015. Finished No. 3 in 2014. We are hot the last 60 days ranked No. 3 Overall. We are #4 in Basketball Overall and #4 in College Hoops. No. 1 Overall in College Football 2014. Look for a MONSTER BASKETBALL card on Wednesday, January 7th.